Drivers are overjoyed that gas prices have finally dropped and remained steady. But even though gasoline is affordable now, we still want to be constantly improving our money-saving skills. And finding ways to save money on fuel, no matter how much it costs, is a good place to start! Remember, every dollar counts, and after sometime, those dollars quickly add up! That's more money toward your mortgage, groceries, childcare, and you of course! So continue reading for some free tips on how to spend less money on fuel in your hometown, and start saving today! We know you love your brand new car, and you want to start off on the right track, but no matter how new or old your vehicle is, there is no need to put premium gasoline in the tank if the owners' manual says regular. A vehicle should only get premium fuel if it requires premium fuel; otherwise, paying for premium is a waste of money. And it will not enhance gas mileage or performance, so simply pass on it to save some cash. When you are filling up your vehicle with fuel, and the nozzle clicks to indicate a full tank, stop there. There is absolutely no need to top off your tank with a few more squirts of the nozzle because that gasoline will just slosh around and seep out. Not only is this a blatant waste of hard-earned money, it's quite messy as well. So it be best to discontinue the top-off habit. Be sure you are really tightening the gas cap when you are finished with every fill-up. Gasoline can evaporate just like many other liquids, and a loose gas cap will expedite that process. Just one extra nudge will make a difference, and preserve your fuel just a bit longer. Aggressive driving habits like speeding, sudden braking, sudden acceleration, jolting, racing, and more will definitely cause your vehicle to use more fuel. 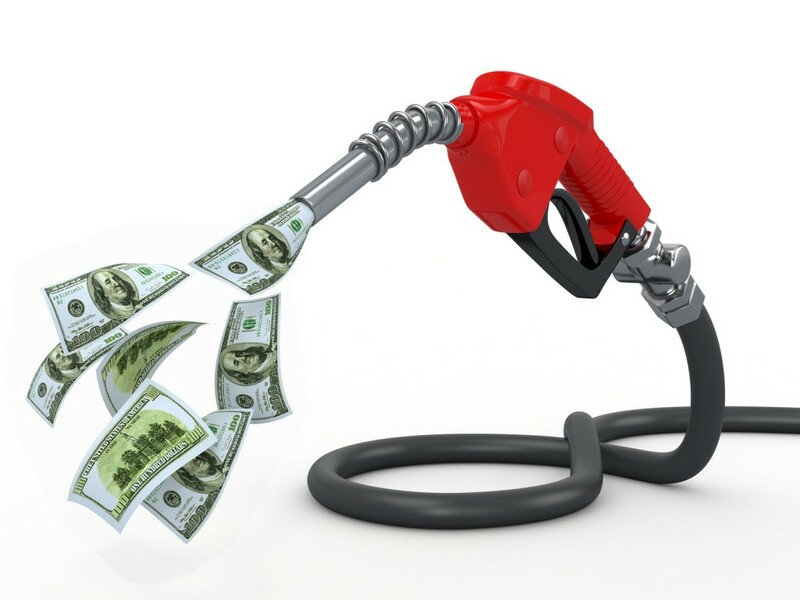 Drive smoother and easier in order to conserve gas and save money on fuel. One way to do this is allow yourself more time to get somewhere so that you are not in a hurry. If your garage is used for something other than a place to lay your vehicle to rest, it's time to make a change unless you want to lose money on fuel. Clear out the clutter and make room for your car so it stays cool in the summer and warm in the winter. Here's why: hot sun will make your car really hot, making you want to blast the AC for relief. This uses fuels. The cold winter climates render your car an ice cycle, forcing you to blast your car's defrost, which also wastes fuel. And gas tanks can even freeze in extreme cold temperatures, which is not only a huge hassle but also wastes fuel. In the summer, try to park in the shade every chance you get. The hot sun can evaporate fuel from your car's tank, stealing precious gasoline you never got a chance to use. If you can't find shade, it is strongly encouraged to invest in a car tarp, which ranges in price from $100 to $1000, depending on size and quality. Properly inflated tires provide better gas mileage, which in turn, saves you money on fuel. With regular scheduled car maintenance, including tires, cars operate more smoothly. This uses less gas, therefore, it requires less fill-ups. Always check your tire pressure once a month to ensure they are properly inflated and pumped. Also, look for tire damaged, warping, and bubbles, as these can have several negative effects on your car's performance. You need to care for your car in the same way you care for your body; well, not the exact same way. Just like us, your car needs certain things to remain healthy and last a long time. For vehicles, this means brake service, filter changes, inspections, tire rotations, alignments, fluid changes, and more. Without these regular scheduled services, car's quickly decline in performance, quality, and value. If you want to save the most on fuel, start with car care.